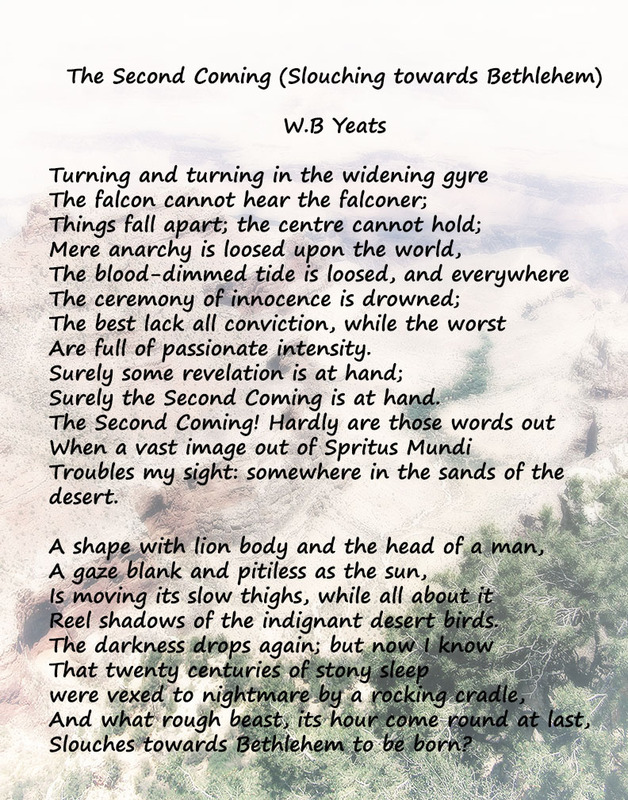 “The Second Coming” is a poem written by Irish poet W. B. Yeats in 1919, first printed in The Dial in November 1920, and afterwards included in his 1921 collection of verses Michael Robartes and the Dancer. We scrambled just yesterday and today, there is dash. Can slouch and stumble be far behind? What’s with the Daily Post’s sudden concern for various styles of walking? I am far past scrambling. Barring a life and death emergency, my dogs may scamper — and they do it with style and elegance — but I will not. My dashing days are done and gone, but I’m pretty sure I have some slouching and a good deal of stumbling left for my future. What kind of idea are you? Are you the kind that compromises, does deals, accommodates itself to society, aims to find a niche, to survive; or are you the cussed, bloody-minded, ramrod-backed type of damn fool notion that would rather break than sway with the breeze? – The kind that will almost certainly, ninety-nine times out of hundred, be smashed to bits; but, the hundredth time, will change the world. Play close attention to the phrasing. The prompt does not ask whether you tend to compromise or not. Compromise, dealmaking, and survival mean and imply different things when an idea is at issue. Therefore, before jumping into your response to this prompt, you should consider reflecting on what it means for an idea to compromise (etc.) and how that might translate into human actions. I don’t fit in a category. Not me, not my ideas. The concept of “compromise” as wrong bothers me. Not because I “go with the flow.” I have no idea what “the flow” is. Or who is doing the flowing. I’ve never been in touch with popular thought because I don’t care what’s popular — or unpopular — or even hated. What I believe is subject to lots of varying forces. What you might call compromise, I call being in touch with reality. The world and I have undergone dramatic change with the passage of time. Isn’t that the way it is supposed to me? Is not life a learning process? If life does is not growth, what is it? If my ideas are fixed and cannot change, they will become ridiculous. Irrelevant. Stupid. And so will I. What might make anyone think their idea is “The Idea?” Or that it will be adopted by the “world?” (Whatever that is.) What historical thing, event, process, cultural trend, would make someone expect righteousness (as they perceive it) to prevail? Throughout human history, exactly the opposite has been the invariable human experience. I don’t see it changing. When reality bites, I don’t stand around waiting for it to eat me. I think. I test my ideas to see if have legs to stand on. If not, I try to figure out what can I do to make them sturdier. Some call it compromise. I call it smart. I know people who can not change. Refuse change. Are stuck in a fixed belief system. Maybe their system made sense. Then, not now. Today, they are relics. Laughable parodies of who they once were. We find them pitiable, that they can’t let the light in. They’ve locked the doors and drawn the shades of their minds. So sad, we say. For most of my life, I believed everything could be fixed if we kept trying. Fifty years later, the world is no better. My generation is weary. Our children are trying not to drown. Their children — the grandchildren — are even more cynical. So what kind of idea am I? What kind of idea are you? I am not an idea. I’m alive and constantly changing. If that makes you judge me weak or unrighteous, too bad. Holding to ideas that don’t work renders them meaningless. Ultimately, renders us meaningless. Written or shouted from a rooftop, it is just noise. Rigid ideas of good, bad, right, wrong, evil, and righteousness are the problem. They will not save the world. Not now, not eventually. Not. Ever. Nor will they lower the heat of hatred and rage threatening to engulf us. Rigid ideas are destroying us, marching us in lock step to nothing and nowhere. It seems like a dream after almost 23 years. Even while we were there, driving the twisting country roads — inevitably lost — Ireland had a dreamlike quality that made it perfect for a honeymoon. 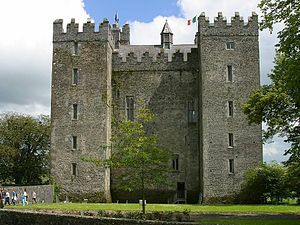 Bunratty Castle where I drank way too much mead! Friends were surprised at our plans to honeymoon in Ireland. “But you aren’t Irish,” they said, foreheads wrinkled with puzzlement. Why do people assume the only reason to go to Ireland is to look for roots? In Ireland, everyone asked if we were Irish. When we said we weren’t, they would say “Are you sure?” We said we were sure. It turned out one of us was wrong. Ireland was wonderful. From Dublin to Sligo, through Shannon, Galway, Cashel and all the lovely cities and villages in between, everyone we met was friendly and welcoming. When folks learned we were honeymooners, we were treated to free rounds of drinks, desserts, and upgraded accommodations — at no charge. Even on the airplane, we were moved up to first class. Way to go. We stayed in bed and breakfasts. Using the National Tourist Board guidebook and a road map, we’d zero in on a destination and phone ahead. Every place we stayed was spotlessly clean and comfortable, although often tiny by American standards. Our first stop after Shannon was Cashel. The B&B was like a miniature European hotel. Set in the shadow of the Rock of Cashel, adjacent to the ruins of a medieval Dominican church, the location was picture perfect. We stayed two nights, then headed for Dublin. Dublin, after we found our way through the one-way streets and detours, was a great walking city. Awful traffic, but great for pedestrians. There were evenings at Foley’s where they played Irish music every night and we all joined in, each in our own key. We found pubs where the Irish Coffee and Guinness flowed and everyone was eager to wish us well and advise us on our itinerary. We shopped, sang, and drank. We listened to stories, told some of our own, and would have stayed another week if we’d had enough time. At one point, we were searching for the Stag’s Head pub, one of the oldest pubs in Dublin and definitely the most difficult to find. 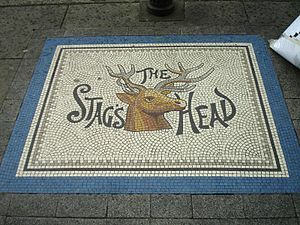 It’s down an alley, marked by a tiled piece of sidewalk showing a stag’s head … so of course, we couldn’t find it. We asked the first person we bumped into for directions. He looked at us and said to my husband “You’re Garry Armstrong! I know you.” He was an American exchange professor from Boston University spending a year at Trinity College in Dublin. Go figure. From Dublin, we drove cross-country to Sligo. As we entered Sligo, the rain began to pelt down. For perhaps five minutes, it poured. Then, as the rain slowed to a drizzle, in front of us appeared a brilliant double rainbow. I felt that it was our personal rainbow, welcoming us to Sligo. Sligo is bursting with magic. You can feel it as you explore the ancient earthworks, standing stones, cairns, and castles. I was convinced the “Little People” lived there still. Loch Gill, where lies the minuscule Isle of Innisfree, has its own magic. We spent a grand afternoon exploring the recently restored Park Castle. The crystal waters so clearly mirrored the sky it was hard to tell where the sky ended and the water began. Later that same day, while heading toward Knocknarea, the mountain top cairn of the legendary Queen Mab, we met Gordon Winter, ex-spy (? 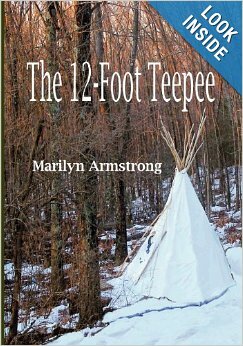 ), author, and local character. We took pictures with his pet chickens, sipped tea in his kitchen, and bought an autographed copy of his book “Secrets of the Royals.” Scandals of royal families back to Henry II. Somewhere in our overstuffed bookcases we still have the book. Our destination was a bed and breakfast called Rathnashee, which we later learned means “fairy ring.” Indeed there was an earthwork fairy ring in the field adjoining the house. I had selected it because it had a room with a private bath, was on a main road and the parlor was a library. Evenings, by the warmth of a peat fire, with a pot of tea and a plate of cookies, we read about Yeats, the Great Hunger, and the long,often tragic history of the north. I dreamt of fairy circles and magic mountains. We visited the cemetery where Yeats is buried and I took pictures. 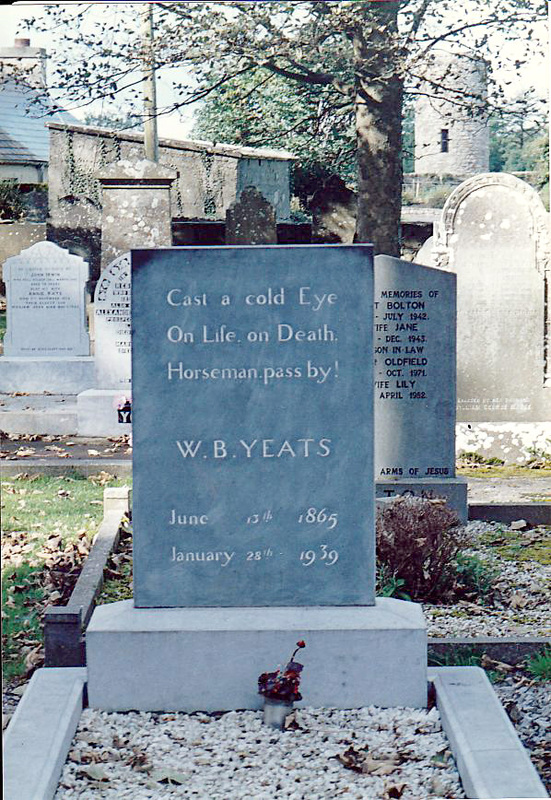 When we got home and showed the pictures to Garry’s dad, he pointed to a set of markers behind Yeats’ headstone and said “Those are your grandmother’s people.” Which is how Garry learned he did, after all, have Irish roots, an interesting revelation which brings me to another odd encounter. Donegal was where we spent money and had a peculiar chance meeting. In 1990, Donegal was not a metropolis. I have no idea how much it has grown, but then it was one road, a pub, a few shops and some old stone houses. I was ever alert for shopping opportunities and when I saw a sign advertising tweeds and other woolen goods, we pulled over. As we were walking toward the shop, we were stopped by an elderly gentleman who looked like he had stepped out of “The Quiet Man.” From his worn tweed cap to his rubber wellies, he was the picture of every tourist’s dream of Ireland. “Are you Irish?” he asked me. “No,” I said. “Eastern European Jewish,” I said. Then he looked at Garry. “You are Irish,” he said. “You are Irish,” he insisted. He was very firm. How he knew, I cannot begin to guess, but he was right. Garry is as much Irish as anything else. The shop was closed, but a sign said “If no answer, check pub across street.” We did, found the shopkeeper, ate lunch, then went back to the shop. A good day. But all our honeymoon days were good. The weather never stopped changing. The sun shone, disappeared and reappeared in rapid succession. Wind blew, and clouds rolled in and it rained. A few minutes later, the sun came out, the temperature rose. By the time you took off your jacket, it was raining again. Our second morning in Sligo, we awoke to pounding rain. I peeked out the window to see another rainbow in the field across the road. Sligo, county of rainbows. By the time we went to breakfast, the sun was out, but by breakfast’s conclusion, it was drizzling. It never rained all day, but it rained a little every day. We learned to ignore weather, counting on the ever-changing skies to give us time to wander through a ruin, scale a castle wall, or walk by a river. After three days in Sligo, we traveled down through County Mayo to Cong where John Ford shot “The Quiet Man.” Being movie buffs, we literally climbed over fences and tramped through pastures until we found the “quiet man’s cottage” in ruins. I hear they have rebuilt it, but there was nothing to rebuild … it was gone. The setting was easily identifiable if you know the movie. The stream flows past what was the cottage door and under the little bridge. Clearly the movie was the only thing to ever happen in Cong, so it’s full of Quiet Man memorabilia. The locals were full of anecdotes. Our time was almost up, and as we continued down along the coast, we realized we had to go home. The idea was so depressing we stopped in the next pub for solace. Probably the only difficult part of our Irish honeymoon was driving. Keeping left was one problem; the roads were another. Narrow, with a terrifying mix of blind curves, roaming sheep, and meandering cattle, local people nonetheless drove at frightening speeds. On roads barely wide enough for our compact car, we were overtaken and passed. More than once we felt obliged to check to see if the door handles and mirrors were still attached. On the plus side, virtually every intersection, no matter how rural, was sign-posted, albeit sometimes in Irish. Ultimately, soothed by the beauty, we relaxed and let the road take us where it would. We learned you don’t need to know where you are all the time. When we needed to stop and rest, there was always a pub and some friendly faces. You don’t have to be Irish to fall in love with Ireland. We always hoped to go back, but it doesn’t seem we’ll get there. We remember, though … not quite as if it were yesterday, but clearly enough. And we have pictures. Many, many pictures. Note: All my pictures in this post are scans. 1990 was pre-digital and time has not dealt kindly with these photographs.